Little pretty Caucasian baby touching piano keys, playing. 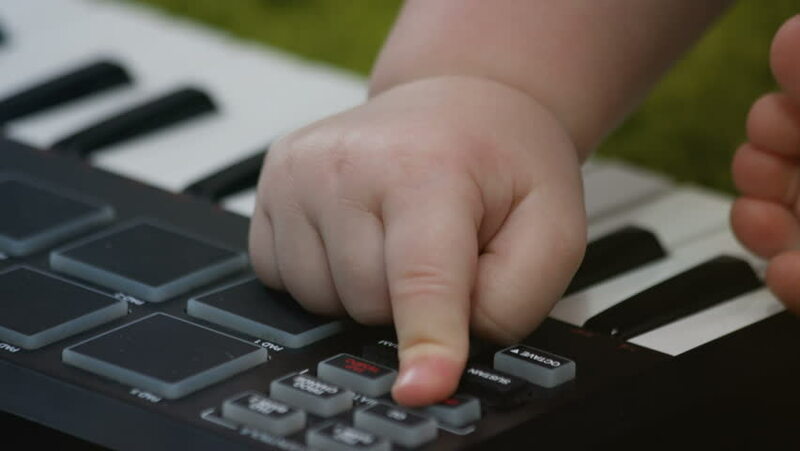 Talented little composer pressing buttons on synthesizer. Close-up. Music. Happy childhood. hd00:10woman hands typing text on laptop notebook keyboard and touching computer touchpad. 4k00:19Man works from home using lap top and trackpad. hd00:13Female working at home office hand on keyboard close up.